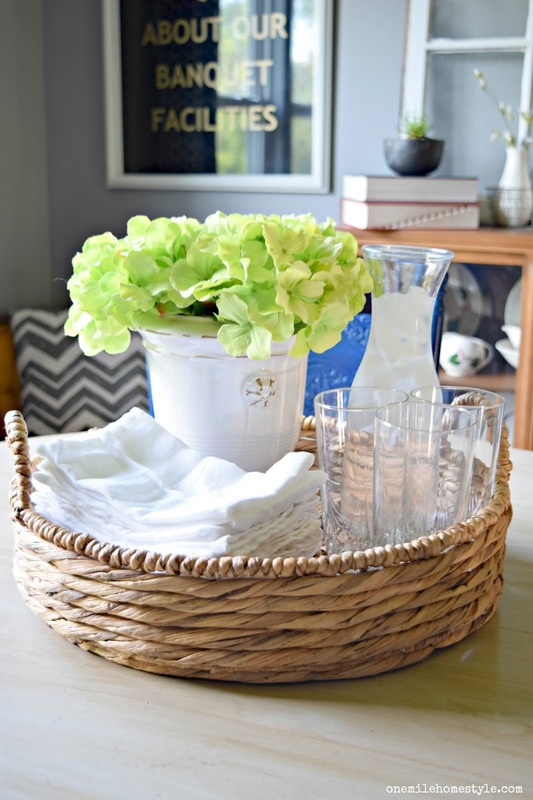 I'm here today with an easy little update I recently made to our dining area. A couple of years ago, I refinished our round oak dining table and gave it a beautiful soft white makeover. 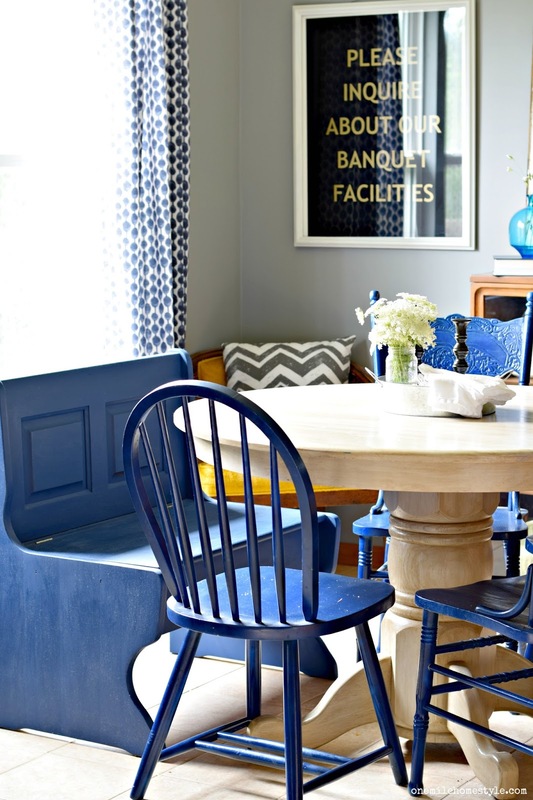 At the same time, I gave our mis-matched chairs a coat of navy blue spray paint to tie them all together. The only thing I didn't touch at the was the farmhouse bench, mostly because I didn't know what to do with it. Should it be white to match the table? Should it be navy to match the chairs? So, it sat. And sat. And sat. See, even bloggers who do this sort of thing for a living sometimes can't make decisions either! This post has been created in partnership with Diva of DIY, I was provided with chalk paint mix to complete this project, all thoughts, opinions and comments are my own. This post may contain affiliate links for your convenience, you can see my full disclosure here. When Diva of DIY asked me if I would be interested in trying out her chalk mix, I knew it was a sign that it was finally time to paint the dining room bench. The best part of this mix is that you can use any color you want! Unlike premixed chalk style paint, where you have to choose a color from a limited list, you choose the paint you want, and turn it into your own chalk style paint! 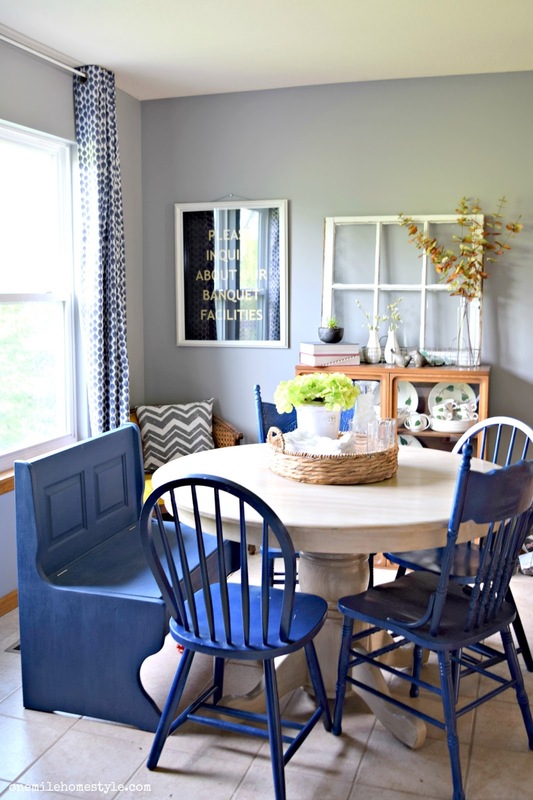 I finally made up my mind and decided to go with navy blue to match the chairs (and it's the same Glidden Rich Navy that's in my laundry room too!). All I need to do now was mix up my paint, which is super easy! 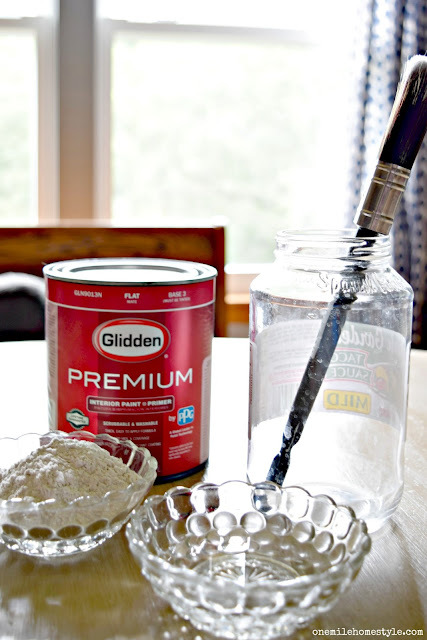 All you do is add 4 tablespoons of chalk mix and 2 tablespoons of water to 1 cup of paint, and mix thoroughly. After two coats of paint (this is the brush I used), and sanding lightly in between coats, I gave it a quick coat of furniture wax, and it was finished! 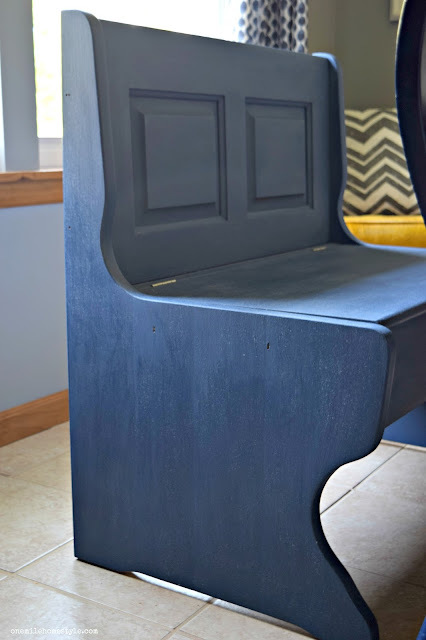 I don't do a lot of distressing on my painted furniture, mostly because with two boys in the house, things tend to distress naturally, so I just save myself the additional step! 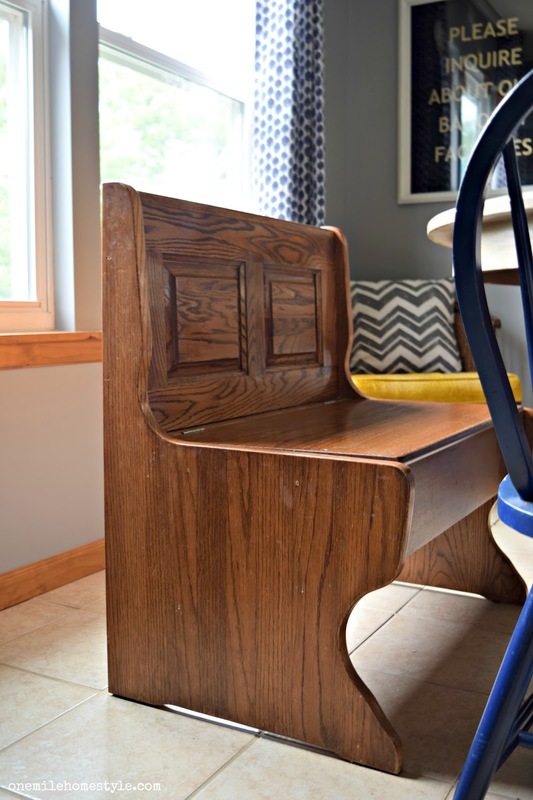 I could not be happier with how this farmhouse bench turned out, the chalk mix paint gave me the color and finish I was looking for, and totally makes this space look finished now. 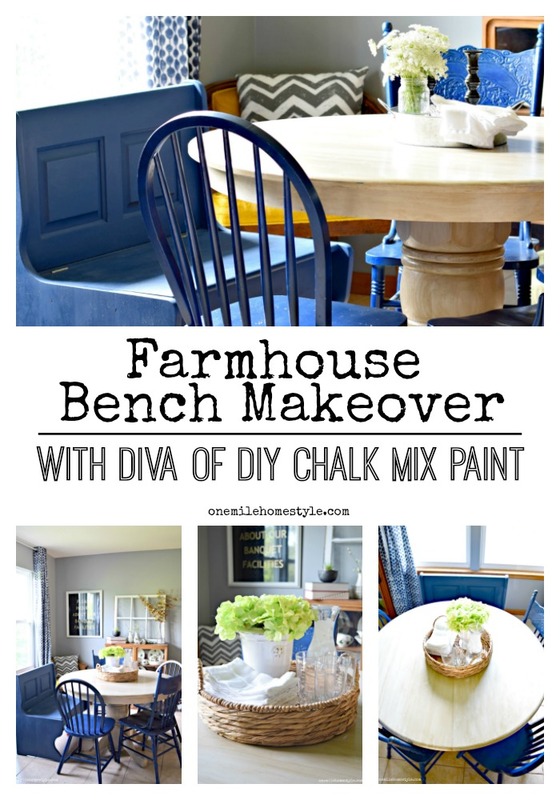 Want to see more great ways to use the Diva of DIY Chalk Mix Paint? Check out all of these other great projects! Love this farmhouse bench makeover? Be sure to save it for a future project! With your talent you could add a framed cushion back to the bench that would be amazing and really look custom. Good job! Steph I love how you bench turned out! That deep navy is perfect. And having 3 boys myself I totally get skipping the distressing! LOL! Thank you for participating in the Diva of DIY Chalk Mix Challenge! The blue you chose is stunning! I love this color! It really looks fantastic. What a great project and inspiration! I love your dining room, and now the bench gets to join in the fun! It's so beautiful and cohesive now, beautiful job!